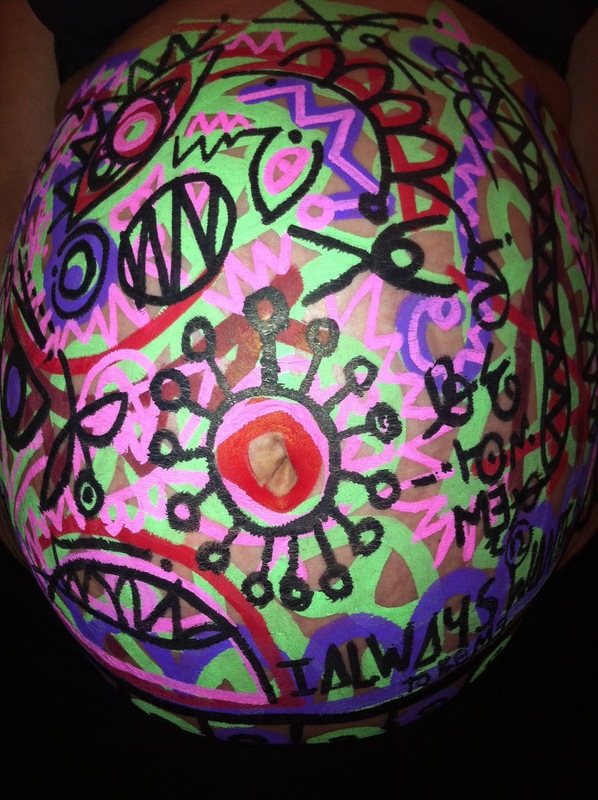 One of my closest friends has just given birth to a gorgeous baby girl Amelia, but before the birth the talented artist, designer and entrepreneur Benaiah Matheson asked if he could paint her bump. I'm not sure Benaiah actually thought she's agree to this but she did and little miss wriggle (as baby Amelia was once refered to as) made sure she wasn't going unnoticed too. Infact it was quite strange especially if you've never had children to watch a stomach morph and go so hard. At one point it looked like she's swallowed a box it was quite freaky especially covered in paint. To me this picture looks like a giant easter egg, but there certainly isn't a giant chocolate egg underneath this abstract art work. 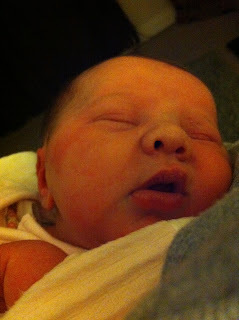 Just to prove she's not a chocolate egg....meet the gorgeous sleepy Amelia. It was hard work making her appearance especially 10 days early.